With the kids back in school after a week of illness and a week of Spring Break, I'm finally spending some quality time back in my sewing room. I have two more gift quilts I need to get done before the end of May. Maybe you can all guess who will be the recipients? The first one I'm working on features a scrappy assortment of bright fabrics. I started out with all the above colors, minus the green and white. But as I was making my initial blocks, I kept deciding the quilt needed more and more color. I just can't help myself! 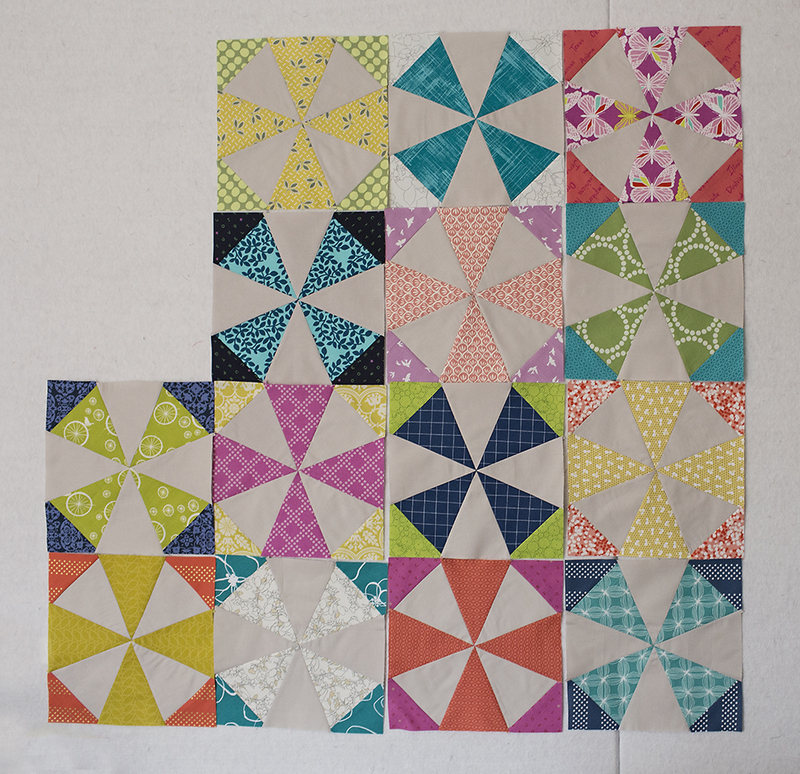 I'm piecing 12" kaleidoscope blocks. When I think of a classic, well loved quilt pattern, kaleidoscope is pretty high up on my list. You just can't go wrong. I paper piece mine - I whipped up this template before starting. If anyone is interested you can download it here. Just be sure to print it out at 100% or Actual Size. Although the white doesn't seem to photograph that well in the quilt, it does look nice in real life. I'm using FreeSpirit Solids Sand Dune as my background. This is one of my favorite neutrals. I need to make 30 blocks for a 60" x 72" quilt. Almost halfway there. They do go together rather quickly. I'll post again when I am closer to the finish!